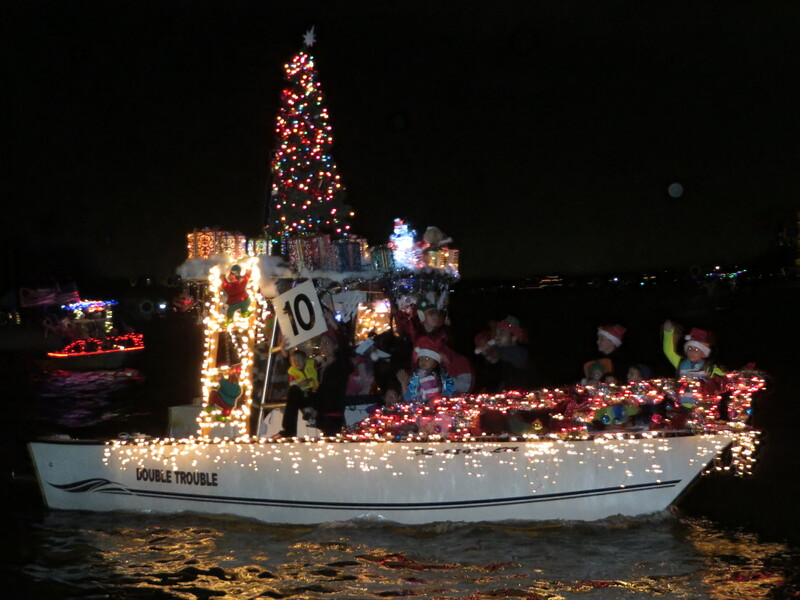 The late December Treasure Island Boat Parade (Also called the Treasure Island Holiday Boat Parade) is something Tampa Bay locals and tourists alike look forward to every year. It’s a great follow up event to the Pre-Thanksgiving week with the Annual Sanding Ovations celebrations on Treasure Island Beach. Public Viewing Tip: Want to know the best place to watch the Treasure Island boat parade from land? Parking may be limited so go early or be able to walk to get there. Since this parade ends at Johns Pass some of the local “sunset cruise” boats and others actually allow you to become part of the parade on their boats. There’s something to be said for experiencing the Treasure Island Boat Parade by Boat. The Treasure Island Holiday Boat Parade route this year will start at the TI Club (The Club at Treasure Island at 400 Treasure Island Causeway, Treasure Island Fl). It will then proceed up and down the canals of the Treasure Island waterfront neighborhoods of Treasure Island including Isle of Palms and Isle of Capri ending at Johns Pass at about 8:15pm depending on weather and number of boats. Be Prepared – The Treasure Island Causeway Bridge will close to all car traffic at 7pm on December 19, 2015 for approximately 30 to 45 minutes to allow the Treasure Island boat parade to pass through. 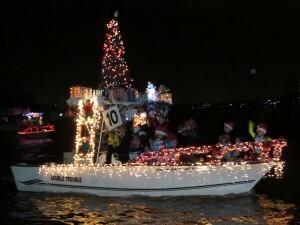 If you have any tips or things we should add about enjoying the Treasure Island Boat Parade please let us know and we can add it email: info@sandbarstosunsets.com. Cyndee & Jack Haydon and their team provides Real Estate Services along the 26 miles of beaches specializing in Treasure Island waterfront homes and beach condos. Need Help? Please call or text us at 727-710-8036. I never even knew there were such things as “boat parades”. But then again, I’m somewhat new to the area. I wish I had known about this back in December. I would have loved to check this out. Oh well, there’s always 2016. Thanks for the information!